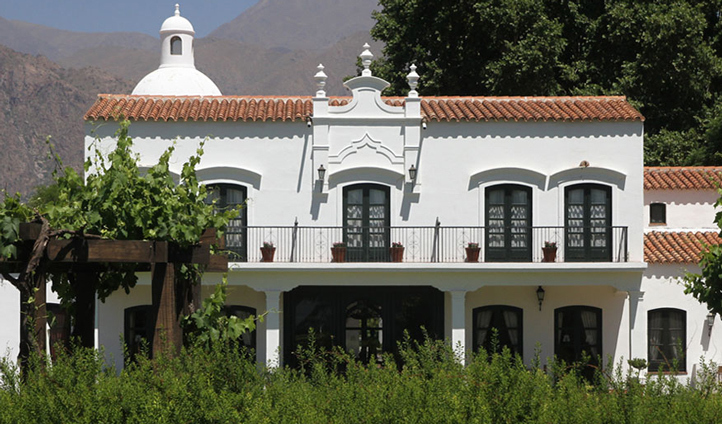 What could be better than a stay at a 19th century colonial style mansion, surrounded only by vineyards and mountains. Absolutely nothing, according to Patios de Cafayate Wine Hotel. Except, perhaps, being able to sample that prestigious wine with your specially prepared regional cuisine after an afternoon of cycling through the endless Bodega El Esteco wineries. 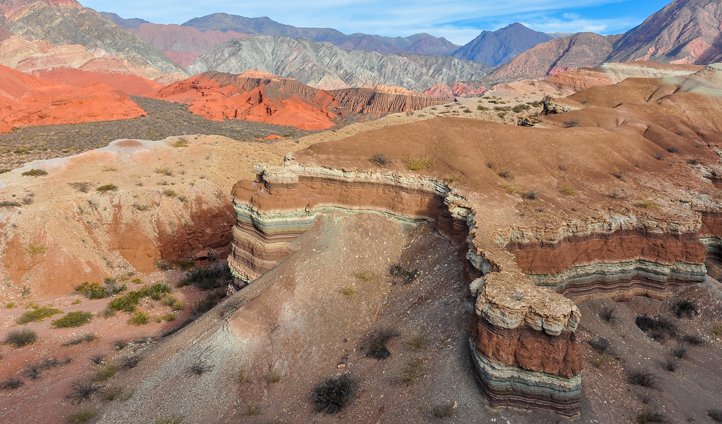 Better yet, ride on horseback through the Cafayate sand dunes that rise up and dance before you. Located in northern Argentina, El Cafayate is second only to Mendoza when we’re talking world-class wine regions. In fact, despite this, the area has retained its ‘small-town’ energy and atmosphere, hence preserving some of the most scenic green vineyards on a backdrop of soaring mountains. Your luxury lodgings lie less than three hours south of Salta International Airport. Take Quebrada de las Conchas, for example, a natural reserve that boasts unique and intriguing chalk-red rock formations that mimic those of the famous Grand Canyon. It’s on our Bucket List for sure. All 32 deluxe rooms and suites at Patios de Cafayate offer panoramic views of the vineyard and mountains, and are adorned with noble dark wood furniture, handmade rugs and rustic ceramic tiles that add to the decadence of your abode. We love the Master Suites, located on the first floor, and overlooking the pool to the vineyard and woods beyond. Lose yourself in the labyrinth of courtyards and gardens that make Cafayate Wine Hotel an enchanting place to not only stay, but completely immerse yourself in. Beyond your hotel lies a world steeped in rich cultural heritage and fascinating landforms. This may just be your new favourite Argentinian hideaway.